Graham McCormack [3(0)-0] will step up in his next fight. The Limerick light middleweight has tonight been confirmed for the big Ray Moylette Mayo Homecoming card at the Royal Theatre in Castlebar on Friday December 7th. Here McCormack will step up to six rounds for the first time and has been matched with managerial stablemate Jade Karam [9(4)-9(4)-2]. The Garryowen fan favourite had signed for a fight with Jordan Latimer [2(0)-1(1)] on the bill but saw this shelved following the Sligo fighter, a rival turned friend, had his licence suspended in the wake of his defeat to John Docherty last month. So, instead, McCormack will now face Cork-based South African Karam, a former sparring partner. It’s a fourth pro fight for the Eddie Hyland-trained puncher who turned pro last December. Last out in July on ‘Celtic Clash 6’ McCormack overcame Radoslav Mitev in what was his most impressive performance to date. 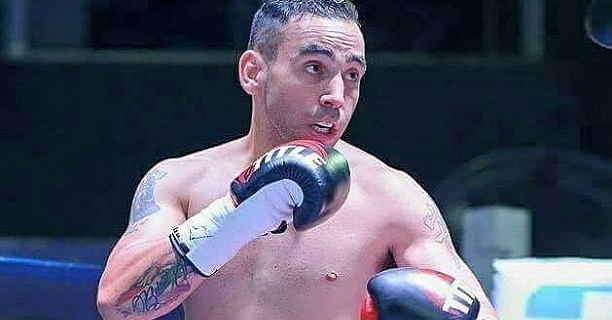 Game brawler Karam essentially retired following third-round stoppage defeat to Keane McMahon on the same card and had a farewell fight in South Africa in September. Here, live on BoxNation, he had middleweight prospect Cowin Ray out on his feet at one stage but was eventually beaten on points. Deciding to keep going, ‘The Beirut Rebel’ has jumped into a fight with McCormack on the big bill at the Royal Theatre in what looks to be a competitive match-up. The Assassin Boxing card next month is headlined by Moylette’s WBC International lightweight title fight with Mexican Christian Uruzquieta and also features Mahon light middleweight Spike O’Sullivan, Galway-Cuban light heavyweight Luis Garcia, and Ballybrack super featherweight Niall O’Connor with many more to be announced.